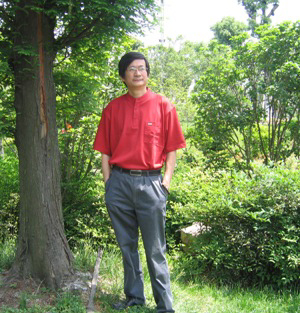 Li Hong, a Chinese writer who is currently in prison for writing articles critical of the CCP, is seeking international aid in his quest for medical parole due to his worsening health. On May 30, Li Hong received a complete physical exam and was diagnosed with nerve damage, which has since led to muscle atrophy. However his appeals for medical parole have this far been ignored. Li Hong eventually wrote to his lawyer, Mr. Li Jianqiang, describing his situation. In an interview with The Epoch Times on August 3, Mr. Li Jianqiang and Li Hong's family members appealed to the international community for support and assistance to save Li Hong. Li Jianqiang indicated that the only hope for Li Hong to be released on medical parole lies in public outcry and public pressure. He pointed out that the Chinese communist regime would not consider issues from a humanitarian point of view. Only when the international community builds up enough pressure on the Chinese authorities could there be hope of Li Hong to get released on bail to get proper medical treatment. Li Hong's letter was written on June 11, but it did not reach the attorney till August 3. Li Hong wrote in his letter that on May 31 he was taken to the Chenghu prison in Zhejiang's Huzhou City. On May 30, the Ningbo Detention Center sent him to Ningbo First Hospital for a thorough physical exam. The results showed that he had suffered nerve injury of the upper extremities. Li Jianqiang told the reporter that Li Hong, his family and he himself have all applied many times to get Li Hong released on medical parole, but to no avail. The fact that the prison sent Li Hong back to the Detention Center indicates that Li Hong's condition is indeed critical, as the prison most probably made this transfer out of fear of responsibility for his paralysis or even death. Li Hong's wife, Dong Min, said that ever since Li Hong was taken back to the Ningbo Detention Center on June 26, she has not been allowed to visit him. The detention center has not allowed Dong Min to send her husband daily necessities. The detention center forbids visiting and mail communication, and does not allow any nutritious products for the prisoners. The last time Dong Min was allowed to visit her husband was on June 6. The couple talked through a glass window. She noticed her husband was very thin, and was too weak to stand stable. Li Hong told his wife that his condition was getting worse and worse. His muscles were withering, his whole body was weak, and he couldn't take care of himself. His health had steadily deteriorated. If this went on, he would be paralyzed. He feared the illness would affect his heart, and endanger his life, if he did not receive prompt medical treatment. In recent years Li Hong has published articles criticizing the communist regime. He and his friends jointly established the Aegean Sea website, which is known for daring to publish facts regarding the Party and the true situation inside China. On March 9, 2006, the website was shut down by the Zhejiang provincial news office and communication administration. On September 6, 2006, Li Hong was taken from his home by the police. On November 12 the local authorities officially arrested him for “instigating the subversion of the political power of the state.” On January 12, 2007, the local authorities secretly held a hearing in the Ningbo Intermediate Court, convicting him of the same crime. On March 19, Li Hong was sentenced to six years in prison. Li Hong submitted his appeal at the court. However, on May 21, the Zhejiang Provincial Superior Court rejected his appeal and sustained the original judgment.